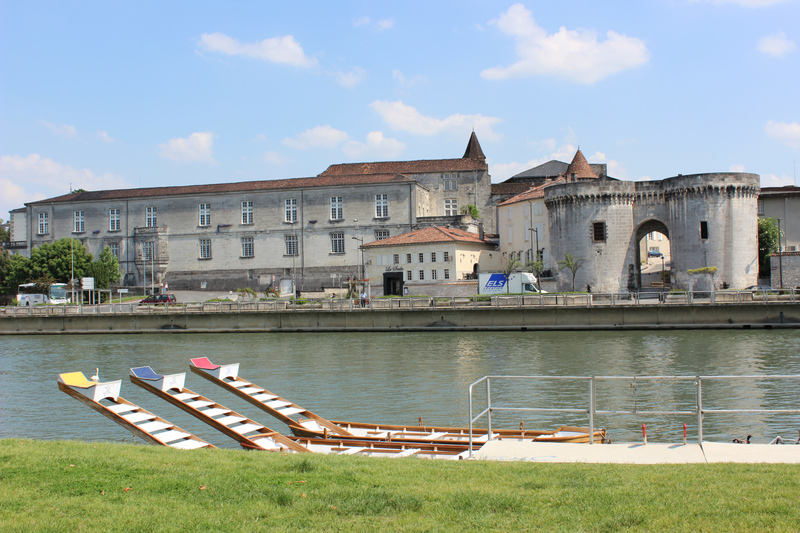 By granting many privileges to his “favourite town”, François I initiated a flourishing salt trade in Cognac, thanks to the river Charente. 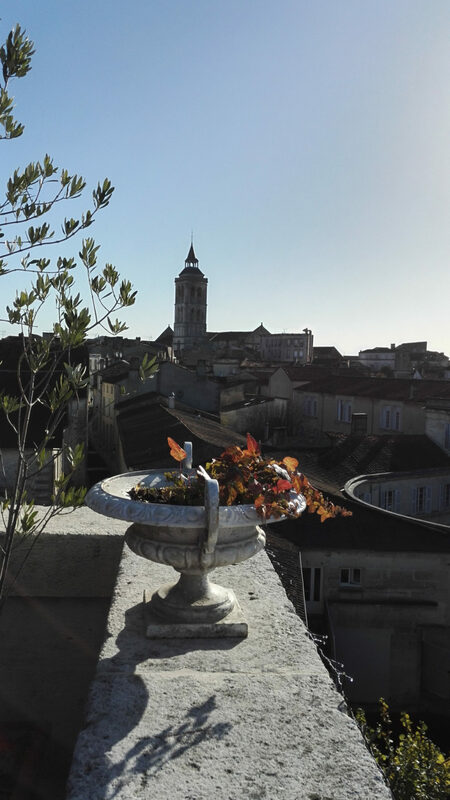 From then on and particularly with the development of the eaux-de-vie trade, the quays of the Charente became the nerve centre of the city. The two curtain towers (Tours Saint-Jacques or Porte des Ponts) are the most visible remains of what had been the medieval walls of the city. A medieval bridge, demolished in 1855, opposite the towers, gave access to the other bank of the Charente. 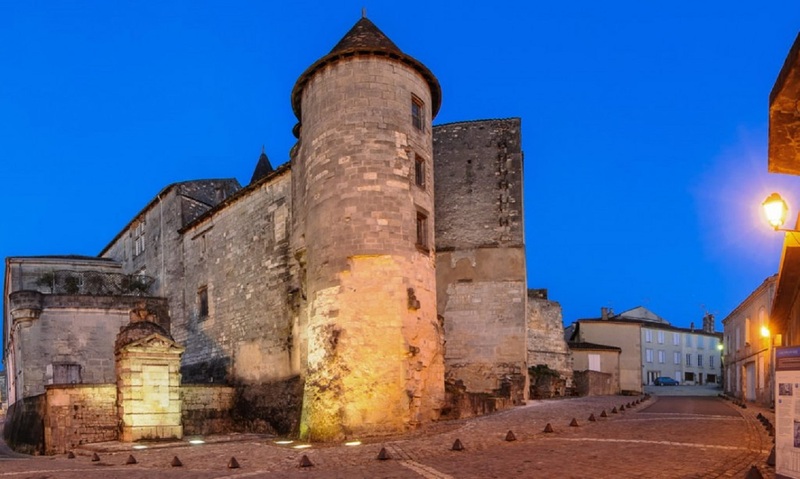 The Château des Valois, destroyed in the 12th century and rebuilt in the 15th, owes its fame to the fact that it was home to a royal, princely family. King François I first saw the light of day here in 1494. Essential visits include the “Salle du Casque”, the tower of Count Jean and the superb vaulted salon called the “Salle des États”. The château belongs now to the Otard cognac House. In 1031, the disciples of Saint Benedict founded a priory with a modest church and conventual buildings. Around 1130-40, they built the current church in the form of a Latin cross with cupola. 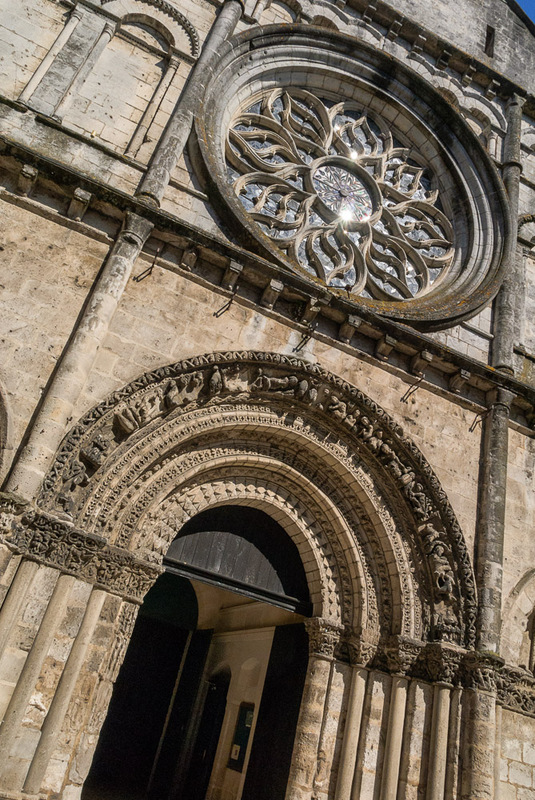 The Romanesque façade was opened in the 15th century to enable the installation of a flamboyant rose window. Can you recognise the signs of the zodiac and the works of the months of the year on the doorway? 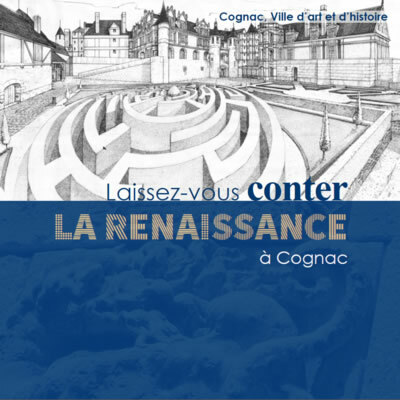 La maison de la Lieutenance est la propriété des cognacs Prunier. Le momunent est ouvert au public avec une boutique dédiée à leurs produits. 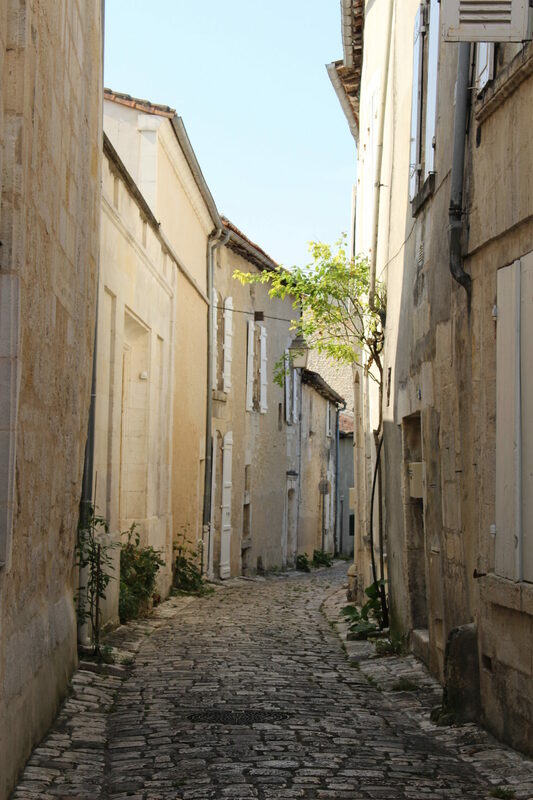 The House of the Lieutenancy is set at the start of rue Grande, the main street of the city from the Middle Ages to the mid-19th century. 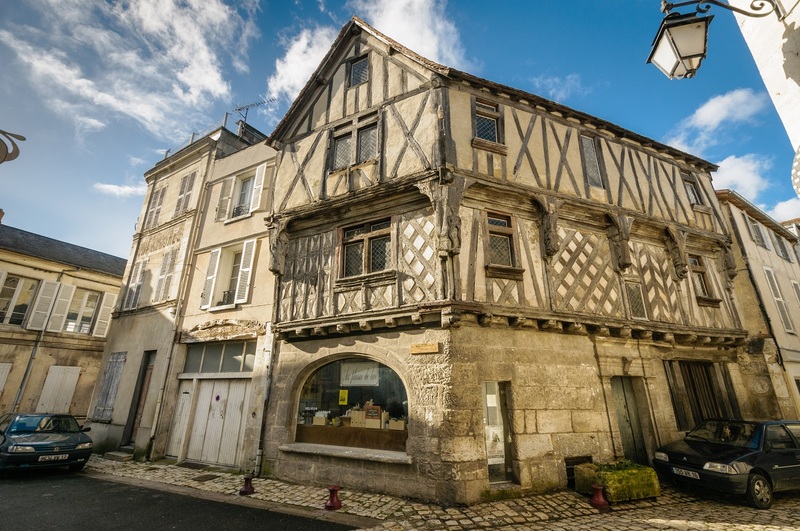 Of medieval origin, the building was reconstructed in the 17th century by Pierre de Lacombe, lieutenant general of the town. The sculpted pieces of wood, visible on the façade, probably date from the 15th century and were reused during replacement of the half-timbers. The door, flanked by pilasters as well as the interior improvements (fireplaces, paintings) date from the 17th century. Despite these modifications, the House of the Lieutenancy still shows the characteristics of a house dating from the end of the Middle Ages with its ground floor in hewn stone and half-timbered elevation with corbelling. 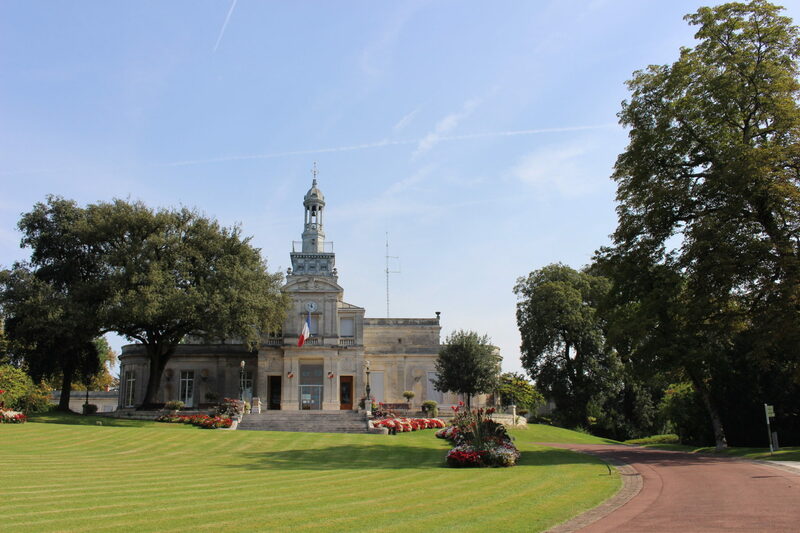 The park is the result of two purchases by the City of Cognac to create a municipal museum and a town hall: l’Hôtel Otard de la Grange in 1889 and l’Hôtel Dupuy d’Angeac in 1921-2. 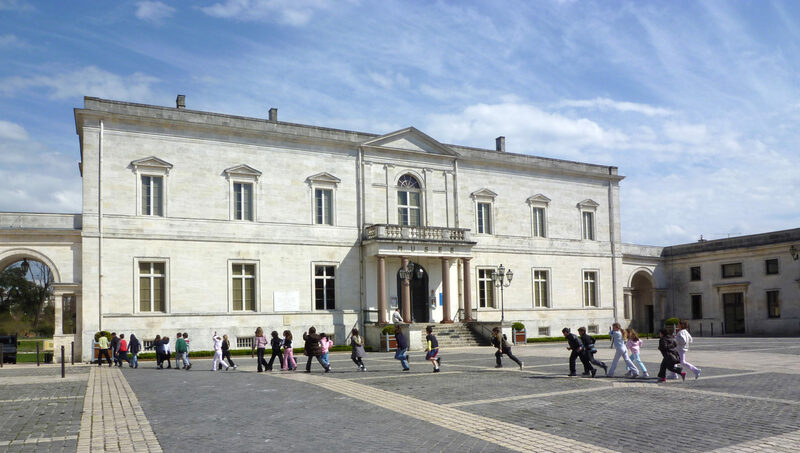 The park of Cognac, listed in 1943, has elements that are typical of the English garden – pagoda, orangery, grottos, sinuous lines. The project of remodelling the park (7 ha) was given to Edouard André, a famous Parisian landscape gardener in 1892. André was trained as a gardener at the Natural History Museum in Paris. 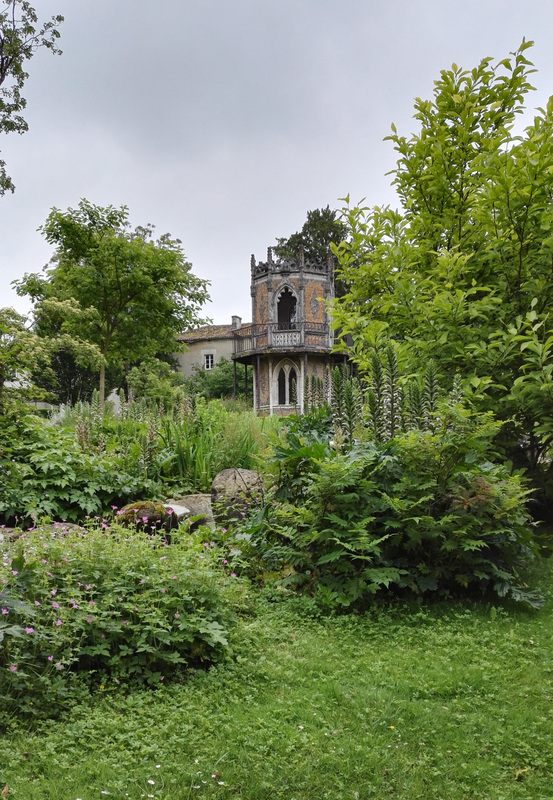 He created many gardens in France and abroad and specialised in 19th century English gardens, notably sunken gardens with grottos and waterfalls. 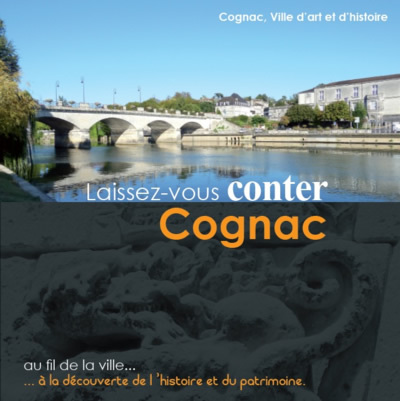 Many first-time visitors to Cognac are surprised by the blackened walls of the buildings. This is due to a microscopic fungus called Torula Compniascensis that lives off the evaporation of cognac (the famous Angels’ share). 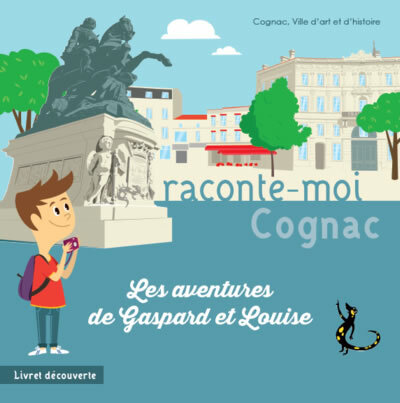 Wherever cognac has been stored, you’ll find it! 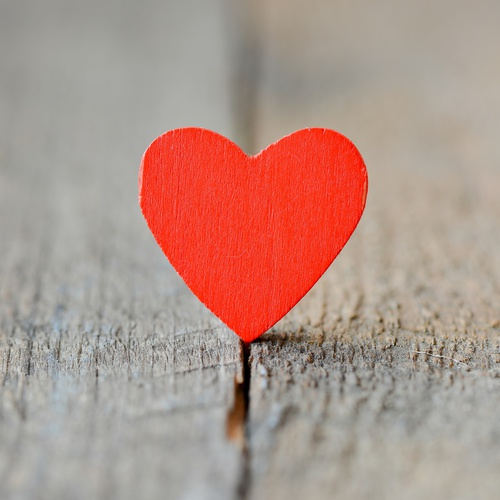 A favourite of ours ! The most characteristic house in this street is the Eclopart, and you would never suspect, from the bricked-up doorway what this Renaissance home must have been like. Discover the fall winter collection of City of Art and History. 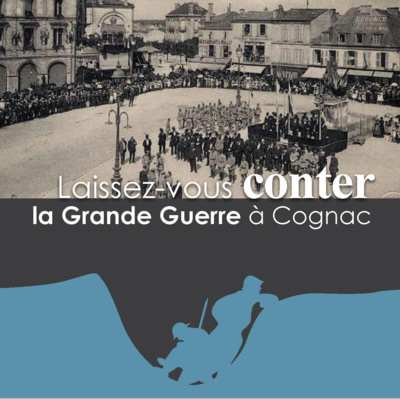 “Laissez-vous conter Cognac” : a collection to consume without moderation ! 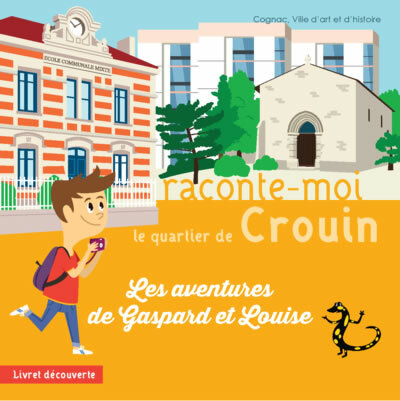 Inside – Outside (Dedans-Dehors), hidden heritage. Twenty photos by Julia Hasse that show us what we don’t normally see, what’s hidden behind the facades of buildings – elements of architecture or decoration, inner courtyards, gardens … A true immersion in the diversity and wealth of the city’s hidden heritage. 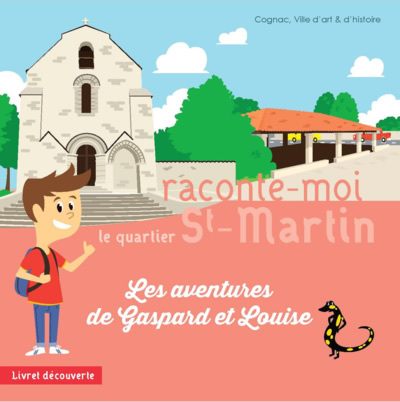 On sale at the Cognac Tourist Office. The Belle Époque tour takes the visitor through the 19th century urban development in line with the city’s growing economic importance.